So you might understand why I like to use hair straighteners, not only to straighten my hair, but to get a soft and clean texture into it. 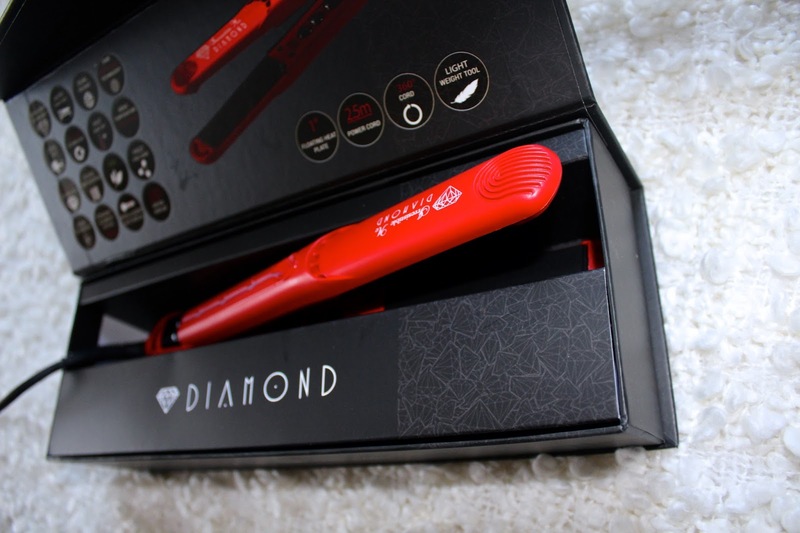 As my hair straightener broke a few weeks ago I was more than relieved to find out about this website called IrresistibleMe, which is actually focused on high quality hair extensions but they also have a lot of different hair tools, as for example this Diamond Hair Styler. Not only will it heat very quickly and show you how many degrees it is on the Temperature display and the green coloured Intelligent heat display, but also protect your hair because of floating ceramic plates which are covered with crushed diamond particles mixed with turmaline. Thanks to this Hi-Tech technology your hair will remain frizz free, which I think is a big pro, as my hair tends to get frizzy pretty fast. Next to the Iron, the package comes with a little book introducing you to your new iron and giving you styling tips on how to use it (for example step-by-step instruction for curling and flattening). In my opinion this is the best choice you can make in price and quality.